Natural Apple Cider Vinegar is made by crushing fresh, organically grown apples and allowing them to mature in wooden barrels. This boosts the natural fermentation qualities of the crushed apples, which differs from the refined and distilled vinegars found in supermarkets. When the vinegar is mature, it contains a dark, cloudy, web-like bacterial foam called mother, which becomes visible when the rich brownish liquid is held to the light. The mother can be used to add to other vinegar to hasten maturity for making more Apple Cider Vinegar. Natural vinegars that contain the mother have enzymes and minerals that other vinegars in grocery stores may not have due to over-processing, over-heating, and filtration. For this reason, it is recommended that you purchase only Natural Apple Cider Vinegar, with an ideal acidity (pH) level of 5 to 7. One of the best known natural remedies using Apple Cider Vinegar is for acid reflux and heartburn. Just add 1 teaspoon of apple cider vinegar to 1/2 glass of water and sip this while eating a meal. The acidic environment created by apple cider vinegar makes it an effective remedy for sore throats. Simply mix 1/4 cup of ACV with 1/4 cup of warm water, and gargle this mixture for 30 seconds once per hour. The acetic acid in the vinegar helps to fight against bacteria and other foreign bodies that may be causing the sore throat. Apple Cider Vinegar is an effective body odor remedy, since it can help adjust the skin's pH level which helps to eliminate odor-causing bacteria. For armpit odor, simply wipe them once each morning with undiluted vinegar (using a cotton ball). For foot odor, fill a pan with warm water and add 1/3 cup of ACV, then let your feet soak in this mixture for 15 minutes once per week. A common folk remedy for hiccups is to mix 1 teaspoon of apple cider vinegar into a small glass of water. Drink this mixture slowly and your hiccups should stop within a few seconds. While there is no scientific proof that vinegar is an effective treatment, the theory is that the sour taste of the vinegar helps distract the brain with some other stimulation so that the involuntary spasms causing the hiccups will cease. Next time you have the hiccups, trying this vinegar hiccup remedy is certainly worth a try. Blend an onion in a blender, and use a strainer to extract the juice into a small glass or bowl. In a separate bowl, mix one part of onion juice and one part of apple cider vinegar together. Apply this solution directly onto the affected areas of skin using a cotton pad or cotton ball. Leave the solution on the skin for 30 minutes. Repeat this once per day for 6 weeks. In a small bowl, add 3 parts of apple cider vinegar to one part of any regular massage oil and mix. Gently massage this solution onto the areas affected by cellulite. Repeat this twice daily, ideally once in the morning and once before bed. ACV has been found to be an effective treatment for yeast infections. A simple remedy is to mix 1 1/2 cups of the vinegar into a bathtub filled with luke warm water, and soak in this mixture for 20 minutes. Repeat this once per day for 3 days. This remedy is most effective when used within the first few days of the onset of a yeast infection. Apple Cider Vinegar is frequently used as a natural treatment for constipation. To treat this common digestive problem, mix 2 tablespoons of ACV into a glass of water, and drink this mixture three times a day. If you find the taste to be strong, you can alternatively mix the vinegar with a glass of apple juice or grape juice. There are various causes for diarrhea, and although it should not be left untreated, it is often a natural way for the body to rid itself of harmful compounds and ingested materials. Apple Cider Vinegar is a fantastic natural remedy for diarrhea since the high pectin concentration acts as a protective coating which soothes the irritated lining of the colon. A suggestion is to add 2 tablespoons of the vinegar to a large glass of water, and drink this 3 times daily while the symptoms persist. Recent studies suggest that Apple Cider Vinegar may help to control high blood sugar levels. Therefore it is not surprising that ACV is often used as a natural treatment for Diabetes. A suggested remedy is to mix 2 tablespoons of the vinegar and a pinch of salt into a glass of water, and drink this before each meal. This drink may help reduce the body's glucose response to the carbohydrate load in the meal that is to follow. 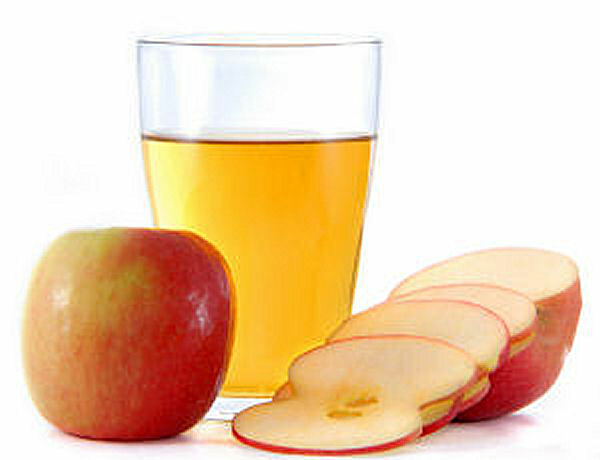 Apple Cider Vinegar can be found in almost any natural health or nutrition store, or from a variety of online retailers such as Amazon.com (see links below). Look for ACV with a pH level of 5 to 7. It can also be found in capsule form which help eliminate the strong sour taste associated with the liquid form. Eliminate the heartburn and general discomfort associated with acid reflux. F. Shishehbor, A. Mansoori, et al. "Apple cider vinegar attenuates lipid profile in normal and diabetic rats". In Pak. Journal of Biological Sciences, 2008 Dec 1;11(23):2634-8. J. Hlebowicz, G. Darwiche, et al. "Effect of apple cider vinegar on delayed gastric emptying in patients with type 1 diabetes mellitus: a pilot study". In BMC Gastroenterol. 2007; 7: 46. C. Johnston, C. Gaas. "Vinegar: Medicinal Uses and Antiglycemic Effect". In Medscape General Medicine. 2006; 8(2): 61. Zoe Yeh, "Is Apple Cider Vinegar Effective for Reducing Heartburn Symptoms Related to Gastroesophageal Reflux Disease? ", Master's Thesis, Arizona State University, USA. 2016. 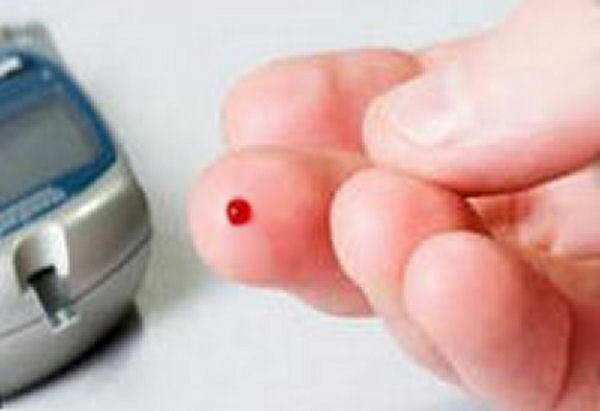 I am an insulin dependent diabetic and I have read your article. I am going to try this product, I also have a lot of hereditary problems as well - I have cirrhosis of the liver, chronic kidney disease and have problems with itchy scalp, hair loss due to medication, thyroid not working and particularly dry sore scurf type skin. I know it is a helluva combination but wondered if you had any further information or comments. Jackie, I'm sorry to hear about your health condition. Sometimes, overactive parathyroid glands or kidney disease causes bone-loss. I'd suggest getting a parathyroid hormone test done and/or getting your kidneys checked. Wish you good luck! I have been told twice in a year that I've got 85% bone loss from waist up. I eat right, have always walked, exercised, drank milk and took calcium. I'm a health nut. I do not want to take harmful drugs. I want to have homeopathic/natural remedies to help make my bone loss better. Help Please! I got the flu really bad and took a tablespoon of honey and a tablespoon of Apple Cider Vingar 3 times a day. It helped me big time. Now my husband got the same. Will, of course, give him the same dosage. Feeling so much better! I have been prescribed PPI's (proton pump inhibitors) for years. Eventually, I broke this horrible habit and started using ACV only for Gerd. Just recently had a gut and bowel exam and the doctor asked me what PPI I was using? I said smugly, only Apple Cider Vinegar. And he said "how could that work?" I drink a tsp or 2 of ACV mixed in 12 oz. of water all day and add a few drops of organic Stevia . Love it. Can't drink it straight - have to dilute it. It also cured my ulcer. Wish I had known this great remedy 40 yrs ago. The PPI's have wreaked havoc on my entire body. Does ACV really reduce cellulite? Hello all, I am old school, I have been putting ACV in my food salad for years. What I mean is when I cook a mixture of kale, turnip greens, etc. I add ACV to cut down on the unfamiliar taste of the vegetable mixture. It gives the food the kick it needs when you are preparing different kind of garden greens for a meal. It helps alot with acid reflex, you might get from eating greens. I hope this helps someone! Does acv work on genital warts? Zacharia, To take Apple Cider Vinegar, simply add one tsp of organic ACV with "mother" to a big glass of cold water. Drinking it twice daily works great!